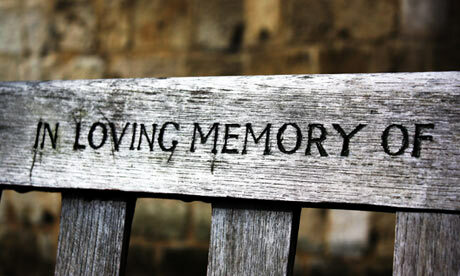 Are you swimming in memory of someone special? Please feel free to add a memorial for your honoree. We will keep you in our hearts and thoughts forever Mom! We are Carol Ann's Crew. We swim to honor her loving and caring spirit. She excelled at everything she did. She was the bestest sister and friend for our whole life. She inspired us to work harder and do more to help others. She loved living by the water her whole life and loved coming to Keuka Lake. She was so proud when she learned to kayak. We miss her so very much!!! Carol Ann Louise Schinn died December 14, 2014, after a long battle with breast cancer and two recent strokes. Carol was surrounded by her beloved family, as she passed in Penn Yan, New York. She is survived by her husband of 46 years, Mike, and her two children, Elena and Michael, as well as her four grandchildren, Owen, Bailey, Aubrey, and Eli; her mother Marion, sisters Marion and Jackie, brother John, daughter in law Kimberly Morris-Schinn, and other members of her large family. As a nurse and administrator at The Hospital in Sydney, Carol touched the lives of patients, families, and co-workers. Her dedication to helping others followed her to North Carolina, where she worked at Carteret General Hospital in Moorhead City, North Carolina. In 2012, she was nominated for the Lewis Excellence Reward, which recognizes the impact and importance of nursing on patient care. Carol retired in November 2013, but still went to work three days a week. Her commitment to helping others never ceased. Her long term battle with breast cancer was a remarkable story of optimism and tenacity. She was an inspiration to her family, and was an amazing wife, mother, daughter, sister and friend. She positively impacted the lives of everyone, who knew her. She is deeply missed by loved ones, friends neighbors and co-workers. In loving memory of Aunt Shirley, who always welcomed the entire D'Amico family into her home, and of all deceased members of the D'Amico family. <<Shirley was born August 17, 1931, the daughter of Harry A. and Ruth Louise Mortensen Daggett. She graduated from Penn Yan Academy in 1949, attended Rochester Business Institute and graduated in 1950. She worked as a bookkeeper for 39 years, initially for June and Everett Jensen at the Wagner Hotel and Jensen’s Engine Rebuilding, and later for Joe Alexander at Joe’s Engine Rebuilding. She was also a bookkeeper for Penn Yan Plumbing and Heating. She retired in 2004. Shirley was an active volunteer in the community, for Food for the Needy and Penn Yan Library. She was a member of Business and Professional Women (BPW), Women of the Moose, Friends of the Outlet Trail and Yates County Historical Society. In loving memory of my father, Earl G. Miller. I'm swimming this year in memory of my Mother. Gone too soon,but forever in our hearts! Love you & MissYou! Pat was a wonderful person!!! I will always think of her when we are doing the pie wheel for Keuka Comfort Care Home. She was the first person to volunteer to help me spin the wheel and we had so much fun. I swimming in memory of my Mom. She loved to swim & she loved Keuka Lake! Mom volunteered at KCCH & Loved taking care of the residents. In loving memory of my mother, Rosanne. PENN YAN - Rosanne Killen, 70, passed away peacefully on Monday (August 16, 2010) in the comfort of her own home. Visitation for Rosanne will be held from 4 to 7 p.m. on Thursday (August 19) at Townsend-Wood Funeral Chapel, 201 East Elm St., Penn Yan. A Mass of Christian Burial will take place at 10 a.m. on Friday (August 20) at St. Michael's Church in Penn Yan with Father Robert Ring celebrating. For all those wishing to attend, Interment will commence promptly at 1 p.m. in Bath National Cemetery. In lieu of flowers, please consider making donations to the Smile Train by visiting them at www.smiletrain.org or making checks payable to The Smile Train, PO Box 9623, Washington, D.C. 20090. Born in New York City on January 25, 1940, Rosanne was daughter to the late Leo and Ruth (Sheehy) White. She was raised at Long Beach, Long Island until the age of 13, when her family relocated to Yates County. Rosanne graduated from Penn Yan Academy in 1959 and the Community College of the Finger Lakes in 1976. She enlisted into the United States Marine Corps in 1959, where she served her country with pride and honor. Rosanne met her husband, John E. "Jack" Killen, while stationed in California and shared 47 years of love and commitment to their family until his passing in December of 2007. In 1961, Rosanne traded in her military boots to assume her new position as a Marine Corps wife, which meant she was both mother and father when raising her children, while the call of duty kept Jack overseas for nine of the first 13 years of their marriage. A unique woman of great strength of character, she had an independent spirit. She was a generous, selfless matriarch who devoted herself to her family and friends, especially her cherished grandchildren. Rosie will be remembered for her kind, supportive nature, generous spirit, and sense of humor. She was proud of her accomplishments and lived each moment of her life with determination. She was a communicant of St. Michael's Catholic Church and a member of Our Lady of the Lakes Parish.